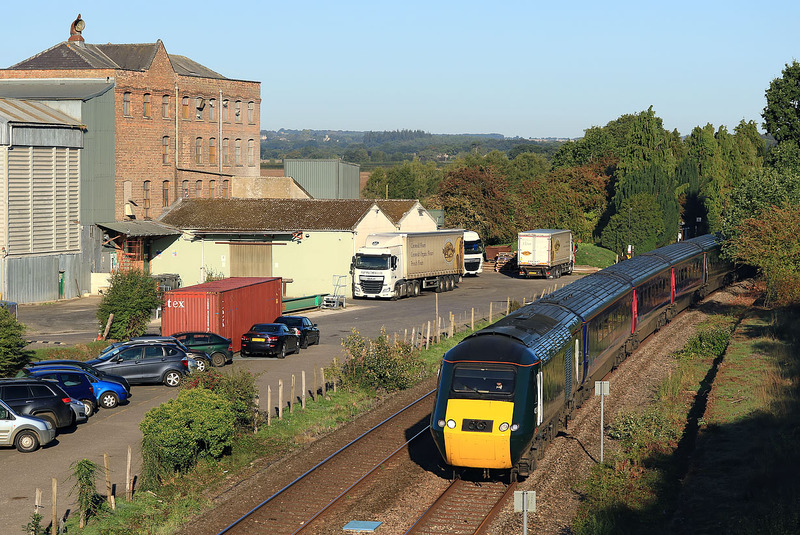 43004 passes FWP Mathews flour mill at Shipton on 13 September 2018 with the 1P18 06:42 Hereford to Paddington GWR service. Although recent vegetation clearance ha opened up this view, it is still (and always has been) a very unbalanced composition for a eastbound train. A train heading in the other direction makes a much more balanced picture.